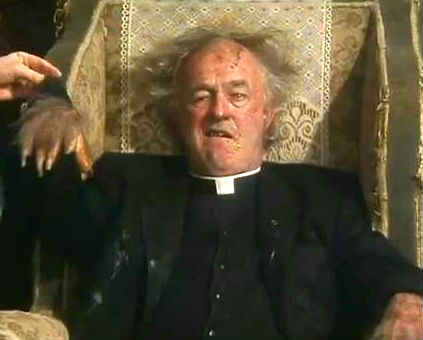 Father Jack contracts "Hairy Hands Sydrome" again and this time it's at level 6 rather than a level 4. After being seen by a doctor, he is sent immediately to Saint Clabbert's Hospital which houses elderly priests. Bishop Brennan replaces Father Jack with possibly the most obnoxious and anti-social priest you could ever find. 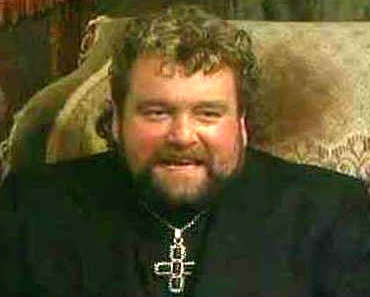 Father Fintan Stack makes Ted and Dougal's lives hell. He plays his Jungle music at full volume well into the night, drives Ted's car into a wall just for fun, drills holes in the wall, insults other visitors to the parochial house, and finally gets Dougal drunk on Jack's stash of whisky. Fed up with Father Stack, Ted decides that they must kidnap Jack and return him to the parochial house. Jack is returned and discovers that Father Stack has found his cache of booze. Jack is angered and is just about to go crazy and do bad things to Father Stack when Ted and Jack see that he has caught "Hairy Hands Syndrome", most probably from Jack's disease-ridden chair. Father Stack is sent off to Saint Clabbert's and Jack stays at the parochial house, sealed in a container so that he doesn't pass the dreaded Hairy Hands disease on to Ted and Dougal. Father Fintan Stack: I want to listen to some music. Father Ted: Oh, go right ahead. Father Fintan Stack: I wasn't asking for permission. Father Ted: He's not a very nice man, is he? Father Dougal: God Ted I've never met anyone like him anyway. Who would he be like? Hitler or one of those mad fellas. Father Ted: Oh, worse than Hitler. You wouldn't find Hitler playing jungle music at three o'clock in the morning! Father Fintan Stack: While you were out, I got the keys to your car and drove it into a big wall and if you don't like it, tough! I've had my fun, and that's all that matters. Sixth appearance of Larry Duff who accidentally staples his ear. In the opening scene we see Ted listening to the racing on the radio. His horse, Divorce Referendum, loses to the horse Glory be to God. Jack hates the sick, poor and needy. He refers to the needy as a Shower of bastards. Ted mentions that Jack is bad around strangers and people he knows. The final scene shows the lights going out at Saint Clabberts and then we hear Father Stack's jungle music starting. Father stack listens to the songs Limb by Limb by Cutty Ranks and The Way by DJ Taktix.